Minimal length of password 6 characters. Fulfill your desire to meet the most beautiful, most intriguing Asian Ladies and explore the boundless possibilities of international dating. 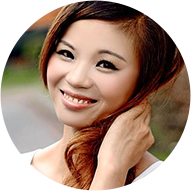 Hit it off with sincere and openhearted women from Asia using an innovative and luxurious dating site that will blast your passionate options wide open. AsiaWomenDating.com is an elite niche dating website that puts you right in the driving seat when it comes to finding the Asia Lady of your dreams. As soon as you register you can browse through profiles of gorgeous women for free and get directly in touch with those Asian matches that strike the right chord. Enjoy an interactive range of features including Email Correspondence, Live Chat and Phone Calls to become intimate with your favorite Asia Ladies. Experience the joy of a Asian Lady and set your life on fire! IF YOU DO NOT AGREE WITH THE TERMS AND CONDITIONS OF THIS AGREEMENT, DO NOT CLICK ON "SIGN UP" OR "FIND YOUR MATCHES" BUTTON, ONCE THE BUTTON IS CLICKED YOU ARE BOUND BY THE TERMS OF THIS AGREEMENT REGARDLESS OF WHETHER OR NOT YOU REGISTER FOR THE SERVICE. THE TERMS AND CONDITIONS OF THIS AGREEMENT ARE SUBJECT TO CHANGE BY AsianDate AT ANY TIME, EFFECTIVE UPON NOTICE TO YOU, WHICH NOTICE SHALL BE DEEMED TO HAVE BEEN PROVIDED UPON OUR POSTING OF THE CURRENT VERSION OF THIS AGREEMENT ON THE SERVICE. The terms of Acceptable Use Policy for Content Posted on the Websites, and any notices regarding the Websites are incorporated by reference into this Agreement. Eligibility. By becoming a Member, You represent and warrant that You are at least 18 years old. Membership in the Service is void where prohibited. By using the Websites, You represent and warrant that You have the right, authority, and capacity to enter into this Agreement and to abide by all of the terms and conditions of this Agreement. You may not authorize others to use Your membership, and You may not assign or otherwise transfer Your account to any other person or entity. Term. This Agreement will remain in full force and effect while You use the Websites and/or are a Member of AsianDate. You may terminate Your membership at any time, for any reason, effective upon receipt of Your written notice of termination by AsianDate customer support staff. AsianDate may terminate Your membership for any reason, with or without explanation, effective upon sending a notice to Your email address provided for at registration, or to any other email address provided by You to AsianDate staff. Upon termination by AsianDate without cause, You shall receive a refund, pro rata, of any unused credits or fees that AsianDate has received from You. If Your membership with AsianDate is terminated by reason of violation of this Agreement, or at Your request, You will not be entitled to, nor shall AsianDate be liable to You, for any refund of unused credits or paid fees for using AsianDate additional Services. Unused credits expire 365 days after their purchase date. Notwithstanding Your membership being terminated, this Agreement will remain in full effect. Non-Commercial Use by Members. The Websites are for the personal use of individual Members only and may not be used in connection with any commercial endeavors. Organizations, companies, businesses, and/or other entities may not become Members and are not entitled to use the Service or the Websites for any purpose. Illegal and/or unauthorized use of the Websites, including collecting usernames and/or email addresses of members by electronic or other means for the purpose of sending unsolicited email and unauthorized framing of or linking to the Websites will be investigated, and appropriate legal action may be taken, including without limitation, civil, criminal, and injunctive redress. You hereby grant, represent and warrant that You will not create any databases, websites, software, legal entities and services competitive with the Websites. If You are a female Member, You further represent and warrant that You will not allow Your photo, profile or email address to appear in any databases, websites or services competitive with the Websites. Such activity will be investigated, Your membership may be terminated and appropriate legal action may be taken, including without limitation, civil, criminal, and injunctive redress. Proprietary Rights in Content. AsianDate owns, licenses or otherwise retains all intellectual property rights in the Websites and the Service, absolutely. Those rights include, but are not limited to, database rights, copyright, design rights (whether registered or unregistered), patents, trademarks (whether registered or unregistered) and other similar rights, wherever existing in the world, together with the right to apply for protection of the same of AsianDate and its licensors. Except for that information which is in the public domain or for which You have been given written permission, You may not copy, modify, publish, transmit, distribute, perform, display, or sell any such proprietary information. Content Posted on the Websites. You understand and agree that AsianDate may at its sole discretion store for review, review and delete any content, messages, photos, videos, audio and video calls or profiles (collectively, "Content") that in the sole judgment of AsianDate violate this Agreement or which might be offensive, illegal, or that might violate the rights of, harm, or threaten the safety of other Members. By posting Content to any public area of AsianDate You automatically grant, represent and warrant that You have the right to grant to AsianDate an irrevocable, perpetual, non-exclusive, fully paid, worldwide license to use, copy, perform, display, and distribute such information and Content and to prepare derivative works of, or incorporate into other works, such information and content, and to grant and authorize sublicenses of the foregoing. engages in commercial activities and/or sales without AsianDate prior written consent such as contests, sweepstakes, barter, advertising, and pyramid schemes. You may not include in Your Member profile any telephone numbers, street addresses, last names, URLs or email addresses. You may not include in Your correspondence with other members any URLs, email addresses or telephone and fax numbers. You may not publish false or inaccurate information in your Member profile. You may not create duplicate profiles. AsianDate reserves the right to terminate the membership and deactivate the profile of any Member violating this provision. You may not engage in advertising to, or solicitation of, other Members to buy or sell any products or services through the Service. You may not transmit any chain letters or junk email to other Members. Although AsianDate cannot monitor the conduct of its Members off the Websites, it is also a violation of these rules to use any information obtained from the Service in order to harass, abuse, or harm another person, or in order to contact, advertise to, solicit, or sell to any Member without their prior explicit consent. In order to protect its Members from such advertising or solicitation, AsianDate reserves the right to restrict the number of emails which a Member may send to other Members in any 24-hour period to a number which AsianDate deems appropriate in its sole discretion. To ensure the quality of the Service provided, Your phone call, or live chat through the Websites may be recorded. Copyright Policy. You may not post, distribute, or reproduce in any way any copyrighted material, trademarks, or other proprietary information without obtaining the prior written consent of the owner of such proprietary rights. Without limiting the foregoing, if You believe that Your work has been copied and posted on the Service in a way that constitutes copyright infringement, please supply AsianDate copyright agent with the following information: an electronic or physical signature of the person authorized to act on behalf of the owner of the copyright interest; a description of the copyrighted work that You claim has been infringed; a description of where the material that You claim is infringing on such copyright is located on the Websites; Your address, telephone number, and email address; a written statement by You that You have a good faith belief that the disputed use is not authorized by the copyright owner, its agent, or the law; a statement by You, made under penalty of perjury, that the above information in Your notice is accurate and that You are the copyright owner or authorized to act on the copyright owner's behalf. Member Disputes. You are solely responsible for Your interactions with other AsianDate Members. AsianDate reserves the right, but has no obligation, to monitor disputes between You and other Members. Disclaimers. 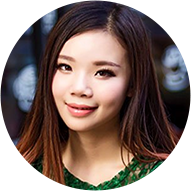 AsianDate PROVIDES THE SERVICE ON AN "AS IS" BASIS AND GRANTS NO WARRANTIES OF ANY KIND, EXPRESSED, IMPLIED OR STATUTORY, IN ANY COMMUNICATION WITH ITS REPRESENTATIVES, OR AsianDate OR OTHERWISE WITH RESPECT TO THE SERVICE. AsianDate SPECIFICALLY DISCLAIMS ANY IMPLIED WARRANTIES OF MERCHANTABILITY OR FITNESS FOR A PARTICULAR PURPOSE. FURTHER, AsianDate DOES NOT WARRANT THAT YOUR USE OF THE SERVICE WILL BE SECURE, UNINTERRUPTED, ALWAYS AVAILABLE OR ERROR-FREE, OR THAT THE SERVICE WILL MEET YOUR REQUIREMENTS OR THAT ANY DEFECTS IN THE SERVICE WILL BE CORRECTED. AsianDate DISCLAIMS LIABILITY FOR, AND NO WARRANTY IS MADE WITH RESPECT TO, CONNECTIVITY AND AVAILABILITY. Although each member must agree to the Agreement, AsianDate cannot guarantee that each member is at least the required minimum age, nor does it accept responsibility or liability for any content, communication or other use or access of the Service by persons under the age of 18 in violation of this Agreement. Also, it is possible that other members or users (including unauthorized users, or "hackers") may post or transmit offensive or obscene materials through the Service and that You may be involuntarily exposed to such offensive or obscene materials. It also is possible for others to obtain personal information about You due to Your use of the Service. Those others may use Your information for purposes other than what You intended. AsianDate is not responsible for the use of any personal information that You disclose on the Service. Please carefully select the type of information that You post on the Service or release to others. AsianDate DISCLAIMS ALL LIABILITY, REGARDLESS OF THE FORM OF ACTION, FOR THE ACTS OR OMISSIONS OF OTHER MEMBERS OR USERS (INCLUDING UNAUTHORIZED USERS), WHETHER SUCH ACTS OR OMISSIONS OCCUR DURING THE USE OF THE SERVICE OR OTHERWISE. AsianDate is not responsible for any incorrect or inaccurate Content posted on the Websites or in connection with the Service, whether caused by users of the Websites, Members or by any of the equipment or programming associated with or utilized in the Service. AsianDate is not responsible for the conduct, whether online or offline, of any user of the Websites or Member of the Service. AsianDate assumes no responsibility for any error, omission, interruption, deletion, defect, delay in operation or transmission, communications line failure, theft or destruction or unauthorized access to, or alteration of, user or Member communications. AsianDate is not responsible for any problems or technical malfunction of any telephone network or lines, computer online systems, servers or providers, computer equipment, software, failure of email or players on account of technical problems or traffic congestion on the Internet or at any Websites or combination thereof, including injury or damage to users and/or Members or to any other person's computer related to or resulting from participating or downloading materials in connection with the Web and/or in connection with the Service. Under no circumstances will AsianDate be responsible for any loss or damage, including personal injury or death, resulting from anyone's use of the Websites or the Service, any Content posted on the Websites or transmitted to Members, or any interactions between users of the Websites, whether online or offline. Suppliers provide full, accurate and legitimate information required for the registration of the female Members at AsianDate prior to their registration according to the terms of Agreement. 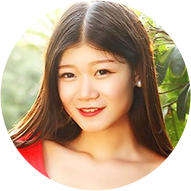 Suppliers provide full, correct and quality translation of all correspondence of their female Members and their prospective soul-mates, Members of AsianDate. Suppliers provide additional services in accordance to the terms of their agreement with AsianDate. Any additional services requested by AsianDate Members, which fall into the Suppliers' scope of activity, but not defined by AsianDate terms of Agreement with Supplier, including but not limited to, arrangement of a meeting with the female Members of the Supplier, provision of additional information on the female Members, or any other personal requests of Members, may be processed by Supplier, but are not automatically granted. 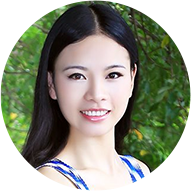 AsianDate is not in any way responsible for the quality of any additional services provided by the Suppliers. The Websites and the Service are provided "as is" and AsianDate expressly disclaims any warranty of fitness for a particular purpose or non-infringement. 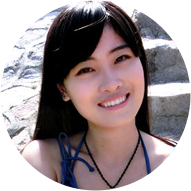 AsianDate cannot guarantee and does not promise any specific results from use of the Websites and/or the Service. Purchase of Membership/Additional Purchases/Auto-Renewal. Upon purchase of membership, a Registered Non-Member shall become a Member and shall have access to all Member privileges. All Services not included in the membership fee shall be provided at additional charge. Your membership will continue indefinitely until cancelled by You. After Your initial purchase of membership, and again after any subsequent membership period, Your membership will automatically renew for an additional equivalent period, at the price you agreed to when initially purchasing the membership. You agree that your account will be subject to this automatic renewal feature. If You want to change or terminate your membership in any of the Websites, please contact our customer support. If You cancel Your membership, You may use your membership until the end of Your then-current membership term and Your membership will not be renewed thereafter. However, You won't be eligible for a prorated refund of any portion of the membership fee paid for the then-current membership period. By purchasing the 1 (one) calendar month membership, You authorize AsianDate.com to charge Your credit card, debit card or other payment method at such time and again, as Your membership will automatically renew at the beginning of any subsequent membership period, unless canceled by You prior to the expiration of any membership period, including any sales or similar taxes imposed on Your membership payments. Unless otherwise indicated in any applicable additional terms or communications AsianDate.com sends to Your registered email address, the renewal membership will be at the same membership fee as when you first subscribed (unless your first month was purchased at a promotional rate), plus any applicable taxes, unless AsianDate.com notifies You at least 10 days prior to the end of your current term that the membership fee will increase. You acknowledge and agree that your payment method will be automatically charged for such membership fees, plus any applicable taxes, upon each such automatic renewal. You acknowledge that your membership is subject to automatic renewals and You consent to and accept responsibility for all recurring charges to your credit or debit card (or other payment method, as applicable) based on this automatic renewal feature without further authorization from You and without further notice except as required by law. In the event Your credit card, debit card or other payment method chosen by You to renew Your membership is declined, You authorize Amolatina.com to charge any other credit card, debit card or bank account listed on file with your membership account. You further acknowledge that the amount of the recurring charge may change if the applicable tax rates change or if you are notified that there will be an increase in the applicable membership fees. Upon the renewal of Your membership, if AsianDate.com does not receive payment, You agree that AsianDate.com may either terminate or suspend your membership and continue to attempt to charge Your payment method provider until payment is received (upon receipt of payment, your account will be activated and for purposes of automatic renewal, your new membership commitment period will begin as of the day payment was received). Upon de-activation of Your membership, all privileges associates with Your membership shall be revoked, provided that Your profile shall remain searchable by other Members. You shall retain the right to browse other Membersâ€™ profiles and to make changes to Your own profile. You may re-activate your membership by signing up and paying the membership fee. In the event a female Member is no longer interested in the Services, AsianDate customer support administrators shall review the correspondence between such female Member and a male Member with whom the female Member has been corresponding (the "Correspondent") and shall have the right to make a decision, in their sole discretion, with respect to the issuance of unused credits back to the male Member. Notwithstanding the above, AsianDate customarily issues no more than 10 credits back to the Correspondent for such Correspondentâ€™s last letter to the deactivated female Member. In the event, a female Member had found her match, and same is not the Correspondent, the Correspondent shall not be entitled to any unused credits with respect to this correspondence with such female Member. In the event, a female Member had been reported for inappropriate activities, AsianDate may, at its sole and unfettered discretion, issue a partial refund in credits to the Correspondent, who had informed the Websites of such female Member's inappropriate activity by providing incontrovertible evidence of same. In the event, a female Member had been found on an anti-scam site, such female Member's profile may be deleted from the Websites provided that AsianDate, in its sole and unfettered discretion considers the supplied information substantial and irrefutable and issue a partial refund in credits to the Correspondent who provided such information. Limitation of Liability. Except in jurisdictions where such provisions are restricted, in no event will AsianDate be liable to You or any third person for any indirect, consequential, exemplary, incidental, special or punitive damages, including also lost profits arising from Your use of the Websites or the Service, as well as damages for loss of date, loss of programs, cost of procurement of substitute Services or Service interruptions, even if AsianDate knows or has been advised of the possibility of such damages. Notwithstanding anything to the contrary contained herein, AsianDateâ€™s liability to You for any cause whatsoever, and regardless of the form of the action, will at all times be limited to the amount paid, if any, by You to AsianDate for the Service during the term of membership. U.S. Export Controls. Software from the Websites (the "Software") is further subject to United States export controls. No Software may be downloaded from the Websites or otherwise exported or re-exported (i) into (or to a national or resident of) Cuba, Iraq, Libya, North Korea, Iran, Syria, or any other Country to which the U.S. has embargoed goods; or (ii) to anyone who is listed on the U.S. Treasury Department's list of Specially Designated Nationals or on the U.S. Commerce Department's Table of Deny Orders. By downloading or using the Software, You represent and warrant that You are not located in, under the control of, or a national or resident of any such country or on any such list. Disputes. You acknowledge that that the transactions involving your use of the Websites and your purchase of products or services took place in New York City, New York. Any dispute or claim relating in any way to your visit to the Websites or to products or services sold or distributed by AsianDate or through AsianDate will be resolved by binding arbitration, rather than in court. The arbitration shall take place in the city of New York, state of New York. New York law will govern the rights and obligations of the parties hereto with respect to the matters in controversy. There is no judge or jury in arbitration, and court review of an arbitration award is limited. But an arbitrator can award you the same damages and relief, and must honor the same terms in this agreement, as a court would. To begin an arbitration proceeding, you must send a letter requesting arbitration and describing your claim to our registered agent. The arbitration will be conducted by the American Arbitration Association (AAA) under its rules, including the AAA's Supplementary Procedures for Consumer-Related Disputes. The AAA's rules are available at www.adr.org or by calling 1-800-778-7879. Payment of all filing, administration and arbitrator fees will be governed by the AAA's rules. The arbitrator will allocate all costs and fees attributable to the arbitration between the parties hereto equally. We each agree that any dispute resolution proceedings will be conducted only on an individual basis and not in a class, consolidated or representative action. THE ARBITRATOR MAY AWARD MONEY OR INJUNCTIVE RELIEF ONLY IN FAVOR OF THE INDIVIDUAL PARTY SEEKING RELIEF AND ONLY TO THE EXTENT NECESSARY TO PROVIDE RELIEF WARRANTED BY THAT PARTY'S INDIVIDUAL CLAIM. NO CLASS OR REPRESENTATIVE OR PRIVATE ATTORNEY GENERAL THEORIES OF LIABILITY OR PRAYERS FOR RELIEF MAY BE MAINTAINED IN ANY ARBITRATION HELD UNDER THIS AGREEMENT. If for any reason a claim proceeds in court rather than in arbitration we each waive any right to a jury trial. We also both agree that you or we may bring suit in court to enjoin infringement or other misuse of intellectual property rights. Indemnity. You agree to indemnify and hold v, its subsidiaries, affiliates, officers, agents, and other partners and employees, harmless from any loss, liability, claim, or demand, including reasonable attorney's fees, made by any third party due to or arising out of Your use of the Service in violation of this Agreement, and/or any allegations that any Content that You submit to AsianDate or transmit to the Websites infringe or otherwise violate the copyright, trademark, trade secret or other intellectual property or other rights of any third party; and/or arising from a breach of this Agreement and/or any breach of Your representations and warranties set forth above. This indemnity shall be applicable without regard to the negligence of any party, including any indemnified person. Other. This Agreement, accepted upon use of the Websites and further affirmed by becoming a Member of the Service, contains the entire Agreement between You and AsianDate regarding the use of the Websites and/or the Service. If any provision of this Agreement is held invalid, the remainder of this Agreement shall continue in full force and effect. We only use the information generated by your visit for the purposes of internal tracking, to make improvements and changes to AsianDate.com and all associated Services, to help navigation and usability, and respond to your requests for information. Except for where specifically noted, we do not use your personal information for any other purpose. We will never sell your personal information to any third party nor share your personal information with any third party. How you can decide what communication you'll receive from us. How you can control the use of your personal information. How we protect the security of your personal information. When you visit the AsianDate.com Web site and use all Services we capture the Internet provider"s domain name and country that you came from (e.g., "aol.com") and the paths taken as you move from page to page (i.e., your "click stream" activity). AsianDate.com only collects personal information that you choose to provide voluntarily when using or registering with the AsianDate.com site. "Personal information" includes information that can identify you as a specific individual, such as your name or email address; and, in the case of affiliate agreements, your name and company name. While you can browse AsianDate.com without registering you will need to register in order to take advantage of certain features. AsianDate.com uses cookie technology as part of our statistical reporting. A cookie is a small piece of information sent by a Web site that is saved on your hard disk by your computer"s browser. It holds information a site may need to personalize your experience and gathers Web site statistical data, such as which pages are visited, what is downloaded, the internet provider"s domain name and country that our visitors come from (e.g. "aol.com", or "umich.edu") and the addresses of sites visited immediately before, and after, coming to AsianDate.com. However, none of this is associated with you as an individual. It is measured only in aggregate. The information in the cookies lets us trace your "click stream" activity (i.e., the paths taken by visitors to our site as they move from page to page). Cookies do not capture your individual email address or any private information about you. We also use standard Web server log files to help us count visitors and evaluate our site"s technical capacity. We use this information to find out how many people visit AsianDate.com, help us arrange the pages in the most user-friendly way, keep the site browser-friendly, and to make our pages more useful to our visitors. We record information on site traffic but not information on individual visitors to our site, so no information about you in particular will be kept or used. You will also receive our email newsletters, account updates and special offers targeted to your interests sent to you by AsianDate. Children under eighteen years of age are prohibited from using our Websites. We do not target our sites or Services to children under the age of 18, and in compliance with the Children"s Online Privacy Protection Act, any information we may receive from users we believe to be under the age of 18 will be purged from our database. You may periodically be sent email messages describing updates, new features, or promotional offers related to AsianDate. You can choose to stop receiving this email at any time. To unsubscribe just click here. You can also follow the 'unsubscribe' instructions and link provided with each email or as we otherwise provide. Also you can send your request to our Support Team and we will make the requested changes. The security of your personal information is very important to us and we are committed to protecting the information we collect. AsianDate.com operates behind firewalls and we have security measures in place at its physical facilities to protect against the loss, misuse, or alteration of information that we have collected from you at our Web site. AsianDate.com has VeriSign and McAfee secure certificates demonstrating that the site is fully tested, approved and certified by these two leading security systems. You are protected from any virus, identity theft, credit card fraud, spyware, spam, or online scam on our site. Please note that whenever you submit any information to us in connection with AsianDate and all related services, you consent to our processing of this information in the United States/Russia as necessary to provide the Services in which you are participating. Your use of our Web site, including any dispute concerning privacy, is subject to this privacy statement and the applicable Terms and Conditions. By using our Web site, you are accepting the practices set out in this privacy statement and the applicable Terms and Conditions. This privacy statement was last revised on August 25, 2011.